Battle for Azeroth was released on the 14th of August and I didn’t pre-order it nor bought it on the release date. I purchased the expansion on the 16th just enough time for them to iron out the usual “release bugs”. I only bought it for one reason: Nightborne. 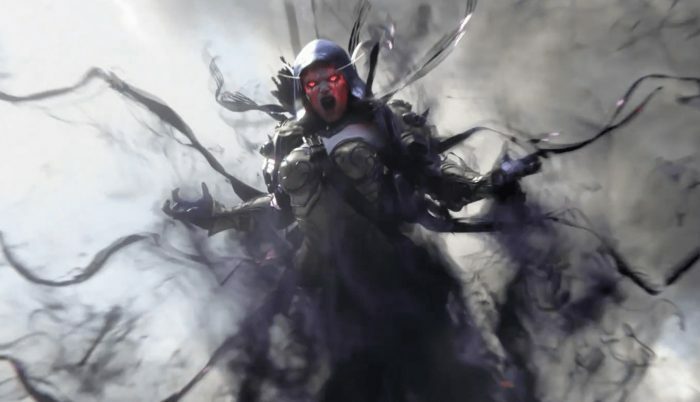 The Battle for Azeroth expansion came with a character boost. The character boost was offered as a pre-order incentive initially. Not until they started offering it as part of the expansion that I have considered purchasing it. Blizzard thought of a way to make the new races as kind of a loyalty reward program. 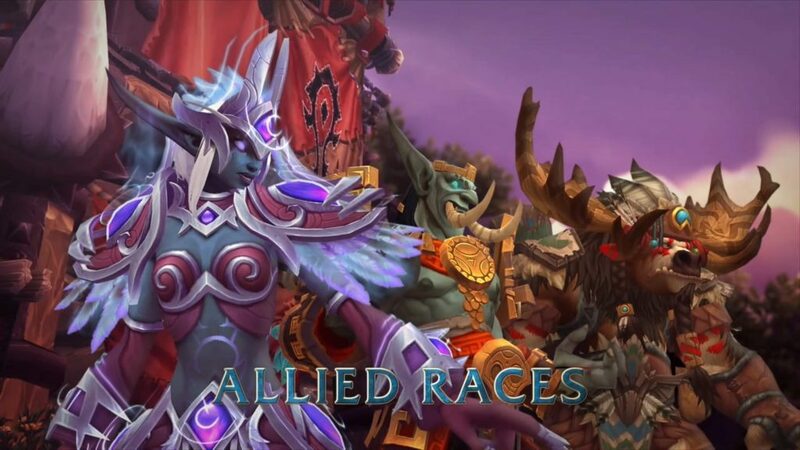 Meaning, new players will not have access to the new races without grinding in the last expansion. Thus unlocking the Nightborne is not as smooth for me, a veteran, either. I have to struggle to find information about why the recruitment quest isn’t triggering. After scouring the internet for information I contacted the Blizzard support. It seems there’s more to just getting Exalted with the Nightfallen and completing the Suramar campaign. It turns out that there is an event leading to the recruitment quests. None of the so-called-guides I’ve found says so. I have to unlock the “Welcome to…” achievement first. It is “Welcome to Zandalar” for the Horde and “Welcome to Kul Tiras” for the Alliance according to the Blizzard support. The Alliance’s Allied races are out of my grasp at the moment since I didn’t really play a lot in Argus, besides, I only want the Nightborne. This is not even the beginning of these events. In order to even begin, I need to have a level 110 Horde character. I ended up using the character boost to a Horde character and use that character to unlock the Nightborne. What better choice to do errand than a mage? And what’s better to represent the Horde than an Orc? So I created my first Horde character. A female Orc Mage. The game sent me to do some crash course tutorial on how to play as the mage. Given that I already have all class in the game (have 12 characters) this tutorial is a waste of time. I was finally sent to Lordaeron to fight against the Alliance for the Battle for Azeroth. I first did this scenario with my Hunter and then with my Demon Hunter so I already know what will happen. I went after the warchief Sylvanas after the scenario for the quest but she never gave me anything. I’ve wasted so much time teleporting all over the place to find where the quest starts when all these time, it was already in my quest log. Mage is the best errand runner, it would have been worse if I’ve chosen a different class. As a newly boosted character to level 110, I have to complete the Battle for Azeroth scenario until the warchief Sylvanas requests my presence to recruit more allies. When the quest for recruit didn’t trigger, I went ahead and continued on to Zandalar and I am very impressed with the design of the place. I completed the quest chain until I triggered the Welcome to Zandalar achievement. I teleported back to Orgrimmar then BOOM! the quest triggered to recruit the Nightborne. Triggering the event is just the first sequence of events since it also requires that I complete the whole quest chain until the Nightborne has fully decided to join the Horde. The reasons for the Nightborne choosing to side with the Horde are a bit, meh, in my opinion. Tyrande doubting them was enough to side with the Horde? Very shallow. At the same quest line, showing why the Void Elves choose the Alliance made sense. When the Nightborne was officially on board, I created a new character, of course, another mage. I was a bit curious on what the starting is for the Nightborne in Battle for Azeroth will be, only to find that it doesn’t exist. The Nightborne starts at level 20 and I get to choose to continue to one of the leveling areas. I choose the Hillsbrad Foothills and I am very surprised that Southshore was in ruins. I can’t really remember what happened to Southshore, but I think it happened during Cataclysm. So far, the Nightborne is just another character and they did a poor job in one of the quests where the NPC thinks I’m an Orc. That’s a really poor QC right there. I only reached level 22 so far even with heirlooms and rested EXP. I chose the mage since it will alleviate the travel cost of going back and forth. I already own all the teleportation spells for all major cities. I’m not really sure how they are going to add the Zandalari Trolls and the Kul Tiras Humans but so far it seems that I’m not getting any reputations from either one. I have both my Hunter and Demon Hunter questing in Kul Tiras and still no reputation gains. My Orc Mage was also questing in Zandalar and also no reputation gains. I guess I’ll just try and unlock the Highmountain Taurens, but that’s just a pain to go through Broken Isles again. I might do it later but for now, I’ll try to get the new human race or level up my new Nightborne.